Thanks to our friends at Freemantle here we have a copy of WWE's Beast In The East on DVD to win, all you need to do is answer this simple question, who did Brock Lesnar beat in the final of the 2002 King Of The Ring? 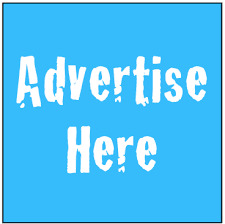 The competition ends on October 5th so get them in ASAP. Across three DVDs, WWE Home Video explores the history of, arguably, the most divisive, influential group in WWE wrestling history. 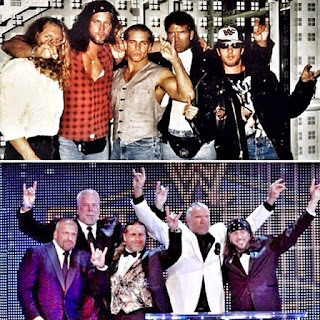 As Shawn Michaels points out, many people find the idea of The Kliq fascinating and this hour long documentary will fuel the fascination as it brings together all five members of the group - Shawn Michaels, Triple H, Kevin Nash, Scott Hall and Sean Waltman - to talk about their history, reason for being and commitment to the business. Occasionally, they are portrayed as a collective of egos that were able to manipulate the egos of others, for better or worse, and all the members are in reflective mood about what they did, how it affected others and what it did for the business. More than this, though, The Kliq come across as friends with a shared interest and passions for their work that drove them to make good, bad and outrageous decisions. 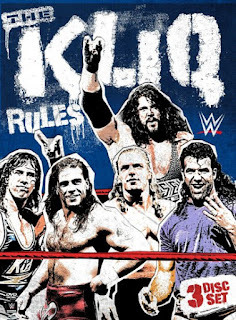 With comments, including from Vince McMahon, Eric Bischoff and Vince Russo, as well as former WCW/WWF talent, The Kliq Rules manages to humanise a group that has become as revered as it has been reviled. Casting them as a group of friends, there’s no doubt that some of the stories are sanitised for general consumption, but the explorations are still fascinating, including the Curtain Call moment, which features brief comments from the guys in the crowd who filmed that - now infamous - footage. From the heady heights, to the demons that plagued most of the members, as Shawn Michaels puts it “as you look back, it’s not hard to see why we got heat”. With contributions from others who were there at the time, the lengths of their power is explored, revealing how fragile the business and its personalities were. So much is covered in the hour long feature, without being truly warts-and-all, that it makes another compelling entry in the catalogue of WWE Home Video documentaries - a series that has continued to look, with occasionally stark reality, at the history of WWF/WWE and its greatest moments. From the inception through the Hall of Fame, The Kliq are a close group with their own jokes, their own mentality and an undeniable impact upon the business that is still felt today. Now in a position where, older and (maybe) wiser, anything The Kliq say is highly unlikely to tarnish their legacy and hearing them speak in such an open manner makes this documentary all the more interesting. Watching them, backstage, riffing on each other, it can only be a matter of time before the WWE Network/WWE Home Video realise the potential of a series of roundtables where these guys can just talk. A three disc set, disc one features the main documentary itself, with the other two discs featuring key matches from the era of The Kliq - from Razor Ramon vs The Kid through to the Ladder Match at Wrestlemania X, The Outsiders in WCW, the return in early 2000 of Hall and Nash to the WWE, and their later work together - forming a greatest hits for wrestling fans, but lacking any commentary or context that would help fit them into the overall history of The Kliq. For any wrestling history fans, there’s a chance that the stories are familiar, but The Kliq Rules is still work purchasing as it gives those involved a chance to speak, albeit through the prism of WWE, about what really happened and how it all came about. This, alongside the Monday Night War series and the various recent documentaries about The Kliq members in their various combinations, build a truly engaging history lesson.